Buy tickets for Jawbreaker at O2 Academy Brixton on 27/04/2019 at LiveNation.co.uk. Search for United Kingdom and international concert tickets, tour dates and venues in your area with the world's largest concert search engine. 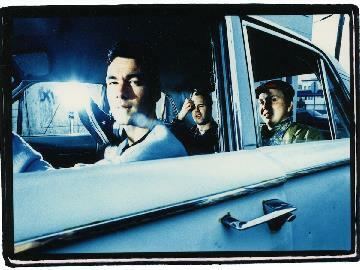 Jawbreaker on Saturday 27 April will now be at O2 Forum Kentish Town, London, NW5 1JY. This show has moved from O2 Academy Brixton, London, SW9 9SL on the same date. So you know, you tickets will still be valid, but we do need to advise you that this venue has a different layout. If your tickets are ‘stalls standing’, you may be directed to the upstairs balcony area at O2 Forum Kentish Town if downstairs (stalls) is full, which is a mix of unreserved seats and standing. We will be admitting to the Stalls standing area on a First come, First served basis only. Once the Stalls are full you will be directed to the Balcony area. We apologise for any inconvenience, your cooperation is greatly appreciated. If you would prefer to get a refund, just get in touch directly with your ticket agent by Friday 26th April 2019 at 12 Noon. Please be aware that refunds will only be handled in advance and not on the day of the performance. You can only gain a refund from your point of purchase. We recommend that you should as arrive as early as possible to ensure you’re admitted in plenty of time. To find about more about getting to O2 Forum Kentish Town, click here. If you would prefer to get a refund, just get in touch directly with your ticket agent by Friday 26 April 2019 at 12 Noon. Please be aware that refunds will only be handled in advance and not on the day of the performance. You can only gain a refund from your point of purchase. Currently Unavailable. Search for another date.